When it comes time to choosing an Enterprise Resource Planning (ERP) system, the most important question to ask yourself is whether to deploy an on-premise system or a cloud ERP solution. Cloud ERP – also called Software-as-a-Service (SaaS), is provided as a service that does not have to be managed or serviced by your IT staff. With this type of deployment, a company’s ERP software and its associated data / information are managed centrally (in the Internet “cloud”) by the ERP software vendor and are accessed by customers using a web browser. The cloud ERP provider hosts and maintains all of the IT infrastructure for you, ensures the system is always running, that the data involved is secure and safe, and that product enhancements or upgrades are rolled out painlessly to your solution. Ultimately, this all allows your IT resources to focus on innovating and helping grow the business more effectively. Cloud software architecture is designed from the ground up for maximum network performance, meaning cloud ERP can deliver better performance and better application availability than traditional on-premise ERP systems. Cloud ERP also offers optimized performance that can adapt to your needs, not to mention all the real-time data that can be accessed via the Internet at anytime. Lastly, since cloud ERP offers no additional hardware, the deployment time is way less than on-premise systems. Your business doesn’t have to waste time procuring and installing IT infrastructure, instead, you can easily roll it out across multiple divisions. On-premise ERP solutions are installed locally on your company’s hardware and servers, then managed by your IT staff. They usually require large upfront and ongoing investments to purchase and manage the software and the related hardware and facilities necessary to run it. More importantly, on-premise systems require that your IT team spend a significant amount of their time and budgets ensuring your system is up-and-running when you need it, including maintenance of hardware, server rooms, and more. When it comes time for your ERP system to be upgraded, IT must then redeploy the system across various users’ computers and re-implement various customizations and integrations that your business installed on your previous software. Another difference on-premise ERP has over cloud is that the software can be customized, however, those customizations are tied to your current software deployment and are not easy to re-implement with future versions. This means as your ERP software provider releases new product updates and enhancements, your previously implemented customizations will be wiped out when you upgrade, and your It team will yet again have to start customizing. Pay Less Upfront: When you rely on cloud ERP to handle things like supply chain management (SCM) and global financials, there is no need for your team to invest in hardware, servers or housing / maintaining them. The cloud also allows for easy upgrades of technology systems without exploding the budget. Stronger Security: It is a misconception that the cloud is less secure than on-prem systems, cloud ERP is a secure platform that encrypts important data and information. Scalability: Cloud ERP has the major advantage of being rapidly scalable, if and when you need to grow or change your capabilities, you can do so quickly and precisely. Mobility: With cloud ERP, employees can access important data from any mobile device at any location and at anytime. If the team relies on an on-prem ERP system, the data inside is essentially trapped at your location and unaccessible to employees working from the field, home or during a meeting. Support: A lot of the heavy lifting of system support can be taken care of with cloud technology. With cloud ERP, there are no hardware costs or on-prem maintenance responsibilities. Kenandy offers support and a comprehensive community, so their customers know where to turn if they need help. 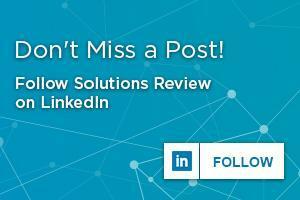 Still curious about cloud ERP and if it’s the right fit for your business? 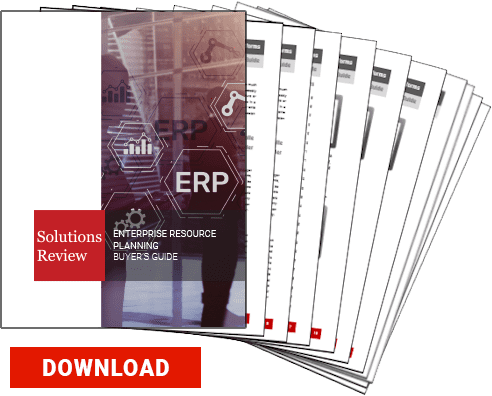 We suggest downloading our free buyers guide, where you can learn more about ERP vendors that provide both cloud and on-premise ERP systems, along with top questions to consider before purchasing!